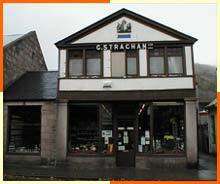 George Strachan Ltd was established in 1926 and has premises in Aboyne, Ballater and Braemar on Royal Deeside. 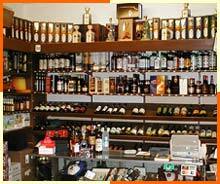 The family run business provides it's customers with a vast choice of single malt and blended whiskies combined with a first class service. 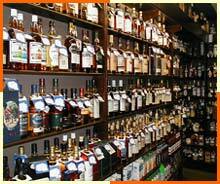 Over 500 malts are held in stock. 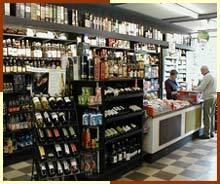 We also have a huge range of miniatures and commemorative decanters. 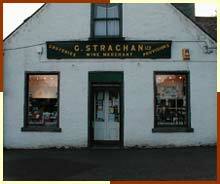 If you are seeking a whisky which we do not have we will order it for you. Delivery available within UK. 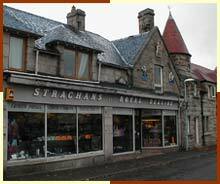 Station Square, Aboyne, Aberdeenshire, AB34 5HX Scotland. Golf Road, Ballater, Aberdeenshire, Scotland.